HOLY CRAP, HOLY COW, HOLY MOLLY COWABUNGA HOLY of all that is HOLY!!!!!!! that episode was full of so many huge things and frankly I saw none of it coming I feel like it ran me over like a bus or a train like a HOLY TRAIN. 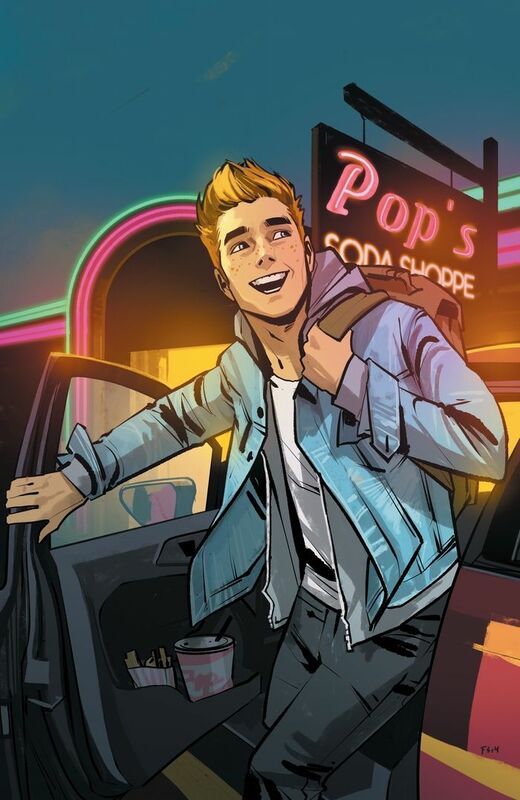 How did Archie become so freaking unpredictable. Love this show, its great its totally getting a 2nd season. I really don't know how to talk about last nights episode without Spoiling everything. That would just be a terrible same so I am not going to. I will just say that Jason Blossom's murderer was not what I expected at all! Also Cheryl has become such an interesting character on her own. This was not even the Finale, what the heck is the Finale going to be. Bios, art and media about the Archie comic characters in Riverdale. News about the Riverdale show and about the Riverdale and Archie comic series. Did Fiona Staples artwork inspire Riverdale? Are Jason and Cheryl Blossom lovers??? Riverdale is a new show based off of Archie Comics but with a twist. We are happy that our guest blogger Sarah Loves Zombies was able to watch the show and give us her take. I wasn’t even going to watch. Now hear me out, I love silly YA probably more than most people, but I didn’t need an overly sappy cheerleader and football star story in my life. I had just finished the only season of No Tomorrow that may ever happen and I was re-inspired to take on the world, hopefully leaving my suburban lifestyle behind (in 10years, I’m a wishful thinker but I’ve got a plan too). So why the heck was I going to start a typical YA? The Archie comics were something I occasionally picked up in my childhood. Something light, and fun to fill the time in between school and friends and my family’s crazy weekend adventures. This show is anything but. It starts with the death of a teenage boy, a mystery that sets the tone for the entire show – deep, interesting and narrated by Jughead – who isn’t exactly the lighthearted prankster I remembered. In fact, most of the characters ride the line between being the stereotypes that filled the OG comics and being something completely different than I expected. There is quite a bit of great acting, and after the first episode I’m surprisingly addicted. Yes, there are the typical storylines that you can see a mile away (the death might have been murder, GASP!). But there is reflection in that as well – that things are very different in Riverdale than they have been before. My hope is that we make it through an entire season with the same decent acting and storytelling. I’ve been disappointed midseason before, but I genuinely think this show is worth a shot.